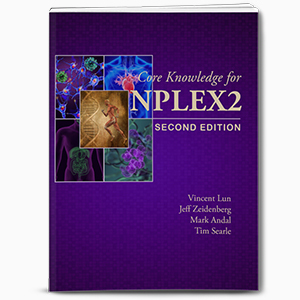 NPLEX 2 is an integrated case-based examination that covers the topics of physical and clinical diagnosis, lab tests and imaging, botanical medicine, homeopathy, nutrition, physical medicine, health psychology, emergency medicine, medical procedures, public health, pharmacology, and research. It is designed to test the skills and knowledge that an entry-level physician must have in order to practice safely. The largest challenge with this exam is managing the volume of information, which essentially condenses 4 years of education into one examination. We will highlight our top recommendations, which will apply to most students. This list has been updated for the 2019 NPLEX 2 exam sittings. This book does not contain actual content, but contains an overview of all the areas you should be studying. Will NPLEX go beyond this guide? Yes. Are you expected to know more than what is in this guide? Yes. However, this contains everything you need to be minimally competent. You should start by knowing this material really well before you venture into further content. 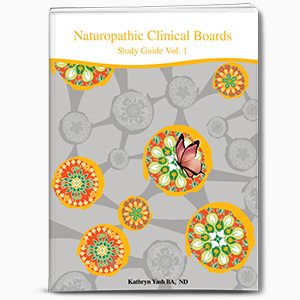 This guide can be obtained through NABNE directly or at your Naturopathic institution. We recommend using this guide to structure your studying. A study guide developed by CCNM graduates, this textbook was originally released in 2014. Most recently, the second edition has come out with updated chapters and expanded coverage of cardiovascular, gynecology, nephrology, emergency medicine and nutrition. This edition also has an increased emphasis on pathophysiology. It is developed with mnemonics and clinical vignettes for maximum retention with minimal time. It does a great job outlining all of the material for the Core NPLEX 2 exam. It includes pathology, pharmacology, all therapeutic modalities, and more. It is extremely well-received and highly recommended. Available for order at nplexreview.com. This is a resource than can be extremely helpful depending on which courses you’ve taken, how notes were provided, or how good your notes were. This is very individualized, as you can imagine, so you will have to use your judgement. One warning we have is that you don’t want to add on too much volume to your studying, otherwise it will be difficult to manage. Only add course notes that you think will be particularly helpful. Also, if you’ve taken NPLEX-specific courses, usually the notes provided are extremely useful as they have focused in on specific material. 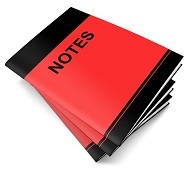 For NPLEX 2, we do not suggest using course notes from NPLEX-specific courses. Though courses that are offered are helpful, using their notes to study was not. Currently there are a couple of board review courses offered by Dr. Chris Habib and Dr. Paul Anderson. For a list of courses currently open for enrollment, please click here. Although all courses are helpful, number one recommended course based on years of student feedback and surveys is Dr. Habib’s NPLEX 2 Course. 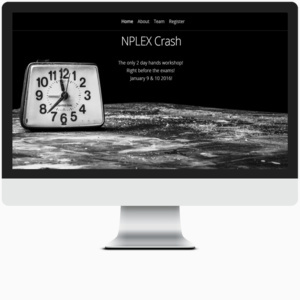 A full blog post describing the various NPLEX Review Course Options can be found here. With over 600 NPLEX Part 2 practice questions written by licensed Naturopathic physicians, this question bank will help you pass the Naturopathic Physicians Licensing Examination. Targeted specifically to the Part 2 – Core Clinical Science Examination (CCSE), this NPLEX question bank addresses the format and topics specifically found on the exam including: diagnosis, materia medica, other treatment modalities, and medical interventions. Use coupon code: PASSNPLEX to receive a discount! Available here. This resource provides you with 1000+ flashcards that are considered high-yield. These allow you to increase the quality of your study efforts by focusing on instant recognition. Designed specifically for NABNE’s NPLEX II. Obtain online access or obtain curated printed cards. These flashcards have been designed by a team of top Naturopathic Doctors and have been curated to represent only the best and most pertinent content. You will be able to quiz yourself and separate the questions by fully dozens of customizable content categories, including: Pharmacology, Botanical Medicine, Nutrition, Orthopedic Tests, Homeopathy, Pathology. Available here. The NPLEX App provides you with 1000+ high-yield flashcards that contain unique content unavailable anywhere else. These allow you to increase the quality of your study efforts by focusing on instant recognition, as well as high-level details. 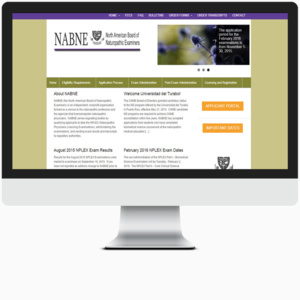 Designed specifically for NABNE’s NPLEX II and for the NPLEX Acupuncture Elective. It provides the most comprehensive list of questions currently on the market. Best of all, with sub-categories and statistics, you can refine your study deck to focus on specific areas of interest! Available here. 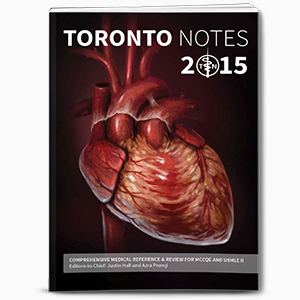 Toronto Notes is a concise and comprehensive medical review revised annually by the University of Toronto graduating medical class under the guidance of leading experts within the Faculty of Medicine. This reference text started as a compilation of notes written by and shared among University of Toronto students to study for their medical licensing exams. It can be used for NPLEX 2 but is intended for medical doctors. Our recommendation is to use this text as a reference text, or when lacking information about a pathology from your primary study text. Toronto Notes is also particularly useful for its acronyms located in the margins, which can be used as memory aids. It is available from the University of Toronto bookstore, and they also have medical information that is accessible online. 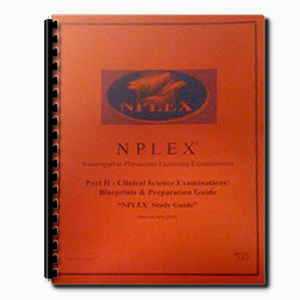 This is one of the few physical book that contains almost all of the required study material in a single place and is designed specifically with NPLEX in mind. In addition, is it updated annually to keep the content current. It is reasonably thorough and provides large coverage. Healing Mountain also has flashcards available, which are well-written and are conveniently divided by topic area. 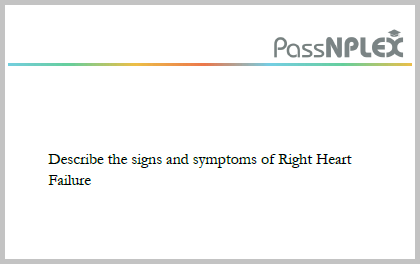 The flashcards they provide for therapeutic modalities are particularly helpful. These study manuals are available directly from the publisher Healing Mountain Publishing, or sometimes available at your Naturopathic institution through a group order. Recently declared as being out of business, but if you can get your hands on the materials, still useful. The study manual can now also be accessed through Wild Brilliance Press. USMLE is the United States Medical Licensing Examination. There are study materials that are prepared for these purposes. Some of these resources are more applicable than others. Oftentimes, USMLE practice questions will be similar to NPLEX-style questions. We recommend at least some exposure to these questions if you desire additional practice at exam-writing. The obvious problem with USMLE study materials is that they do not contain naturopathic therapies, such as botanical medicine, homeopathy, or nutrition. 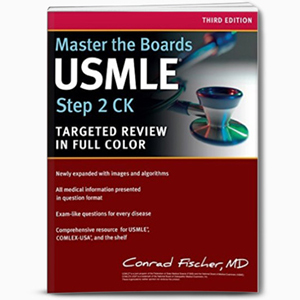 The USMLE resources are most useful for improving your knowledge in pathology and diagnosis, lab tests, imaging, and pharmacology. This resource is available from different sources. 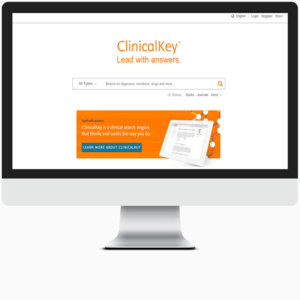 Clinical Key combines in-depth content of leading medical books, journals, review articles, and evidence-based point-of-care resources. It is an online resource. Clinical Key can be an excellent reference material for pathology. We do not recommend it as a primary study resource due to its large volume. It should be used mostly for clarification. Another problem with Clinical Key is that it is often more updated than NABNE’s references, which means that although it may contain more accurate information, you are unlikely to be tested on it on NPLEX 2. Clinical Key can be accessed online. 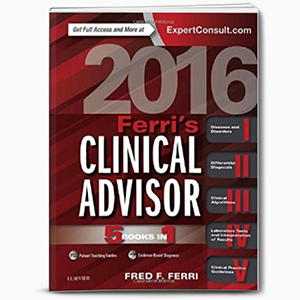 Ferri’s Clinical Advisor is a large resource that includes diagnostic and therapeutic information on most pathologies, as well as algorithms and information on lab tests. It is a vast resource, spanning more than is required for NPLEX 2. We do not recommend it as a primary study text, but as a reference text or clarification text. Oftentimes, no resource will contain all pathologies in the NPLEX Study Guide. This is when it becomes important to look to texts like Ferri’s to simplify complex pathologies into a few paragraphs and key points. Ferri’s is available at various bookstores or online. 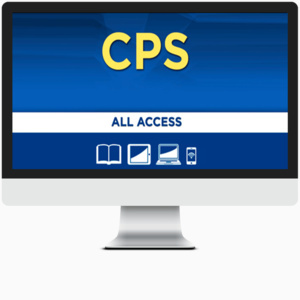 The e-CPS is the electronic version of the Compendium of Pharmaceuticals and Specialties. It contains complete information about pharmaceuticals. It is the Canadian drug reference for health professionals and enables searches that include drug monographs, updates and clinic information, directories, and other product information tools. It is useful in deciphering what is the top indication for a drug, or what are the top side effects for a drug. If using this resource, we caution you not to get lost in the wealth of information. Pick out exactly what information you require and then look exactly for that. The e-CPS can be found online at their website e-therapeutics.ca. 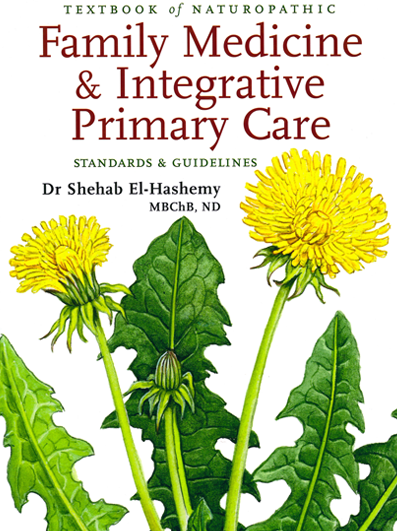 Based on medical guidelines, this book provides core knowledge and practical instruction in the critical skills comprising the repertoire of the primary care physician as examined by the Naturopathic Licensing Examinations. This book is a good resource for integrating basic guidelines in naturopathic medicine and applying them to common medical conditions. If used at your educational institution, this resource should also be a good review. The best use of this book is for its ability to look at multiple naturopathic treatment options for various pathologies. It is available from CCNM Press. 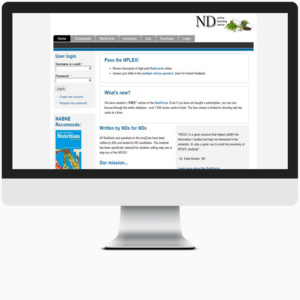 The ND Online Learning Centre, or NDOLC, is as its name suggests, an online study resource. Members can purchase a 6 month subscription to their study tools, which include a massive customizable database of flashcards and practice multiple choice questions. 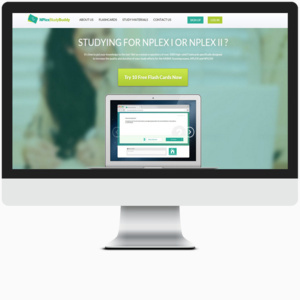 The content is developed by Naturopathic Doctors and is updated regularly to reflect the content of the NPLEX exams. 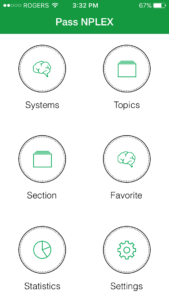 In addition, the flashcards they provide are divided by topic area and focus on important information tidbits. A subscription to the NDOLC is available through the website ndolc.com, but appears to have been shutdown recently. Try here instead for flashcards. FTP Lectures are a set of lectures delivered by a medical doctor. 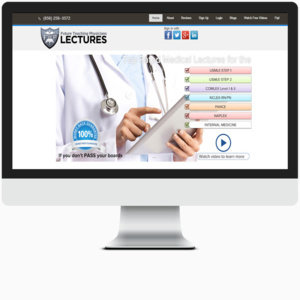 The lectures are clinical in nature and help to simplify large concepts into manageable and understandable chunks. They simplify memorization and the idea behind them is that they provide teaching that will lead to long-term understanding. Available here. There is a fee associated with signing up, but many trial lectures are available for free so that you can tell if this type of study resource is a good fit for you. This resources provides you with thousands of digital or print flashcards that are considered high-yield. These allow you to increase the quality of your study efforts by focusing on instant recognition. Sign-up for subscription periods. 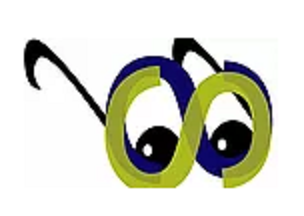 This resource has since merged with Pass NPLEX and can be accessed here. 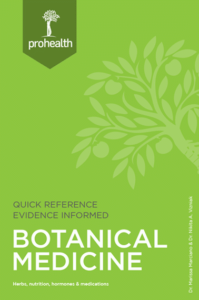 The ProHealth Botanical Medicine Manual is a multidisciplinary, integrated guide available for students. This is a book gives top quality content that you will refer to often in class, for board exams and in practice. Topics include, study tips, Botanical Actions, Constituents, Pharmacy, Monographs, evidence-based medicine, as well as over 150 botanicals, illustrations, and clear and logical formatting. Available here. This small group of Naturopathic Doctors is based in Toronto provides a short 2-day hands on workshop right before the Ontario Clinical Board Exams and NPLEX 2. Originally consisting of: Dr. Aaron Zadek, ND, Dr. Sarah King, ND, and Dr. Tal Friedman, ND. This group of doctors aims to provide students with NPLEX success on NPLEX 2. Since their inception, this group has since merged with Pass NPLEX. You can find out more about the current individual instructors here: Dr. Zadek and Dr. King. This fantastic site is currently managed by a Naturopathic student. New guides continue to be added, but you can find quick tips, resources, and various summary guides for many modalities. Can be found here. NABNE recommends specific books in the NABNE Study Guide. These books are used as references when NPLEX questions are generated by the question-writers. Most of the time, these resources are far too expansive. For example, it is unreasonable to read a 1000 page book about medical research, when there will only be a few questions on the topic and other resources will amply cover the important units of information. It is worthwhile looking at the list NABNE provides to get a sense of where their information is coming from, but we do not recommend physically obtaining and utilizing these texts as primary study materials. They are best used to help clear up any conflicts or if you want to know NABNE’s stance on a specific topic. Obtaining these texts can be done through a book store or online. Copyright © 2016 Pass NPLEX. All rights reserved. 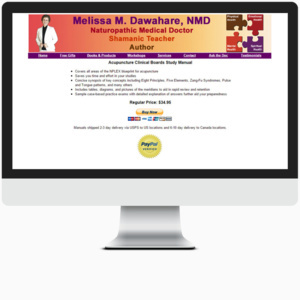 This site has been built, developed, and is continually updated by licensed Naturopathic Doctors. We are not associated with NABNE or NPLEX and the views represented here are solely our own opinions.